This Prada Saffiano bag came into The Handbag Spa with a scuffed corner. In addition to the light damage sustained, the colour had been lost too and due to the bags white colour, this was very noticeable! Luckily the technicians could restore the exact shade back to this area with a Colour Touch up treatment. 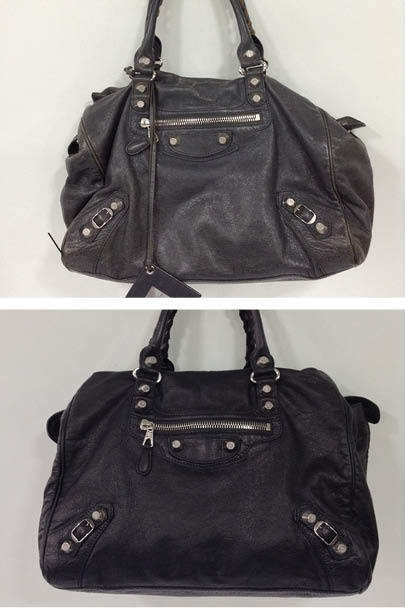 The original black colour of this Balenciaga handbag faded with years of use and was in need of a little TLC when it came into The Handbag Spa. Firstly, the workshop repaired the piping, which was exposed and had actually broken. They then carried out a Full Clean to remove any surface dirt from the handbag, so it could then be Colour Restored back to black. This Balenciaga bag is now looking revived and ready for many more years use. A woman’s handbag can be filled with all sorts, which can cause damage to the interior leather, from water bottles to ink pens! This Mulberry Bayswater had ink marks and staining blighting its raw suede lining. After an Interior Suede Clean and specialist Ink Removal treatment as carried out The Handbag Spa, the marks had pretty much vanished. Please note, we cannot guarantee full removal of ink, but aim to reduce it as much as possible. This Louis Vuitton Damier Azur tote came into The Handbag Spa for a Full Clean. The lighter coloured coated canvas was looking grubby after years of use and was in need of a little TLC. 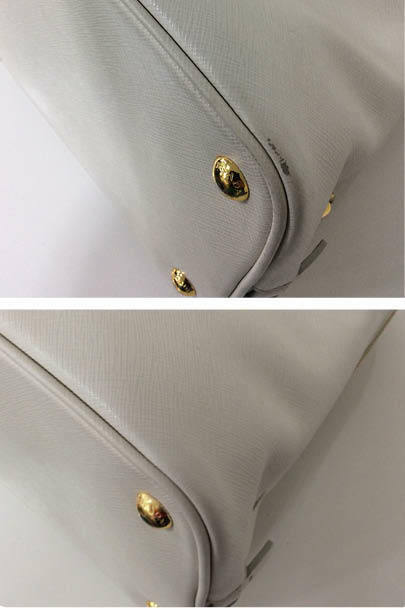 We revived the handbag with our exclusive HBSpa Clean treatment, which ensured it was cleaned inside and out. 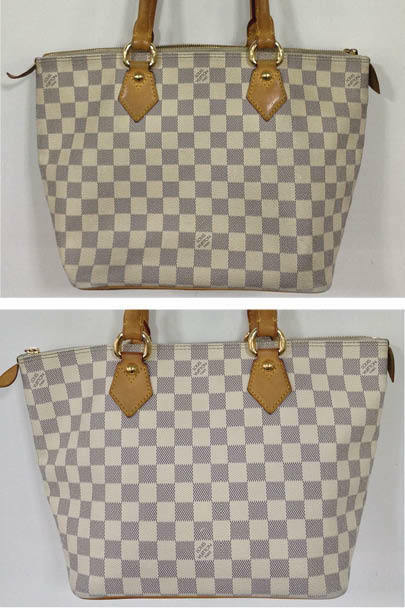 Now this Louis Vuitton is looking much fresher and in an overall better condition. You can book your bag into the spa for a HBSpa treatment today. 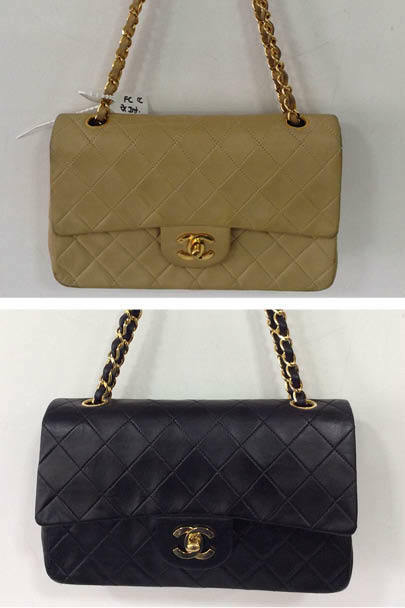 Lighter coloured bags, such as this camel Chanel flap, are notorious for picking up stains and showing dirt, so a Colour Change to a darker shade is a great way to make your bag more wearable. This customer opted for black, which ensured even coverage of the original colour and also was in keeping with Chanel’s handbag range. The technicians undertook a Full Clean, which is necessary before proceeding with a Colour Change, in order to remove any surface dirt and prep the bag. Afterwards black dye was applied to the exterior of the handbag and it’s chain strap, to give it the desired makeover. 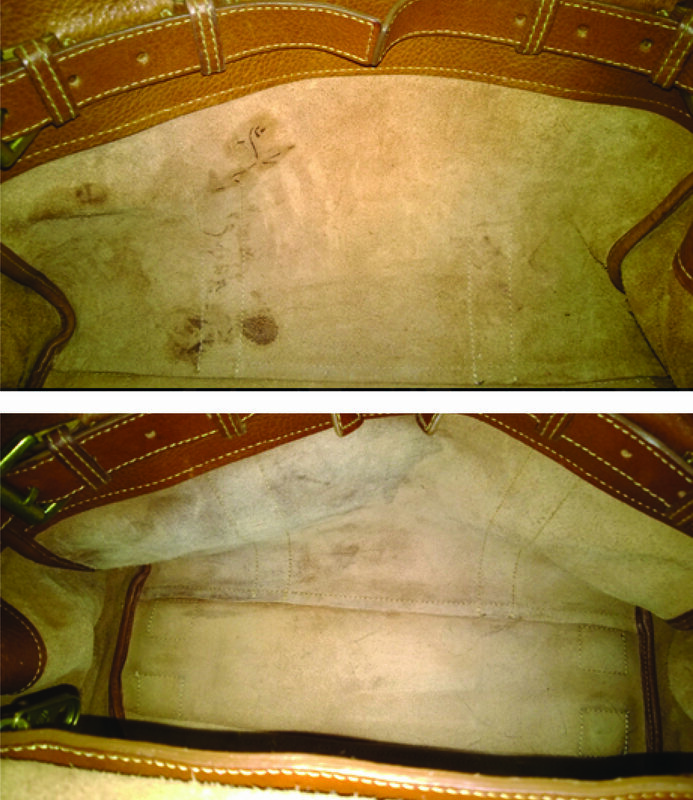 This customer was heartbroken when she discovered a can of hairspray had leaked inside her oyster grey Prada handbag, causing a severe stain and even flattening the leather’s natural grain. Unfortunately, there isn’t a treatment which can rectify a flattened grain pattern, which is something we advised the customer of when the bag arrived at the spa. 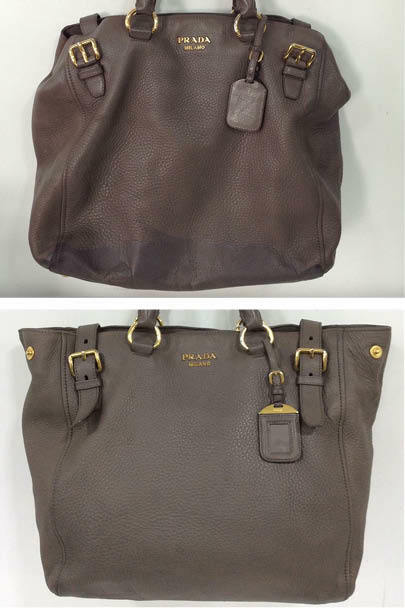 We then undertook our Full Clean, Stain Removal and Colour Restoration treatments, which definitely did the handbag wonders! The technicians did such a good job of blending the bottom area of the bag in, that it’s now hard to tell that the grain pattern is flatter than the rest of the bag.